Chemical.AI is a revolutionary personal research assistant. think out of the box and create practical novel routes for you to discover. Step ahead of literatures with Chemical.AI. Conventional planners are good at finding routes from past literatures, but they are not smart enough to suggest routes yet to be written in papers. Invalid results are often returned for compounds that are not synthesized before. 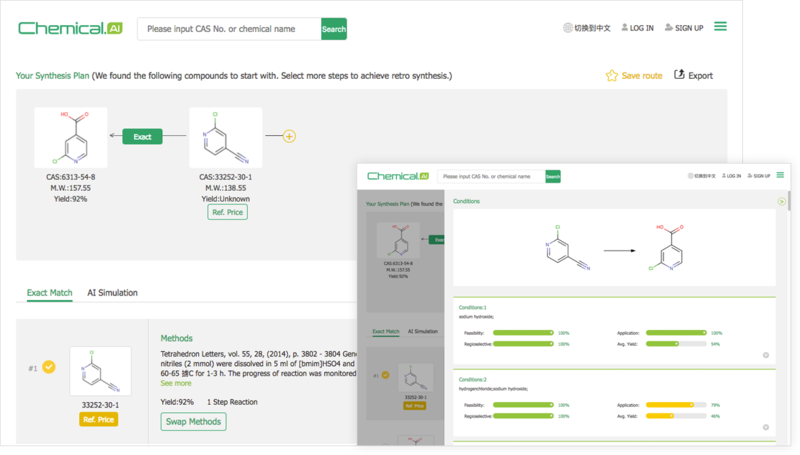 Chemical.AI, on the other hand, is capable of discovering and creating new routes with its powerful algorithms. It learns methods from over 10 million literatures and inspires you to design an all-new route step by step. With Chemical.AI, you’ll discover a whole new world of possibilities. Conventional planners do not understand why we need routes with intermediates and starting materials that are available on the market, at a reasonable price. They like putting together routes that are theoretically, not practically, possible. But Chemical.AI understands the importance of budgeting. Integrated with real-time market data, it knows if an intermediate or starting material is available on the market. It also helps you prioritize practical routes with reasonable costs. You can always check the reference price and decide if a method fits your budget or not. 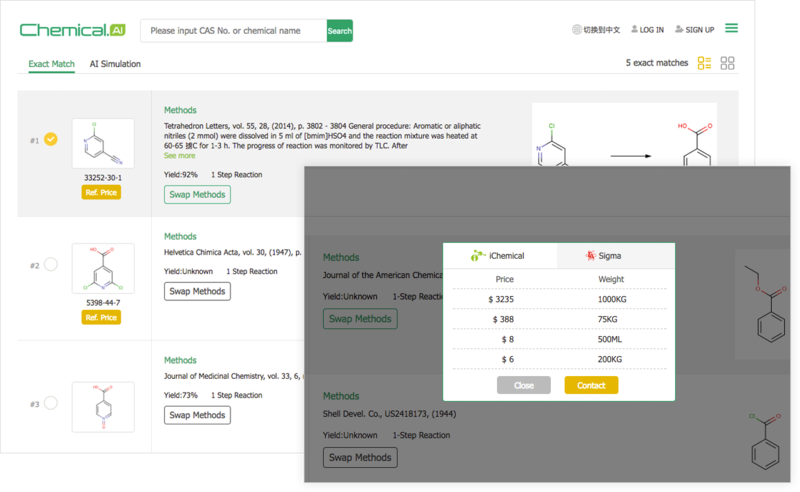 Chemical.AI is made available for free. Totally free. No more set back on your research budget.